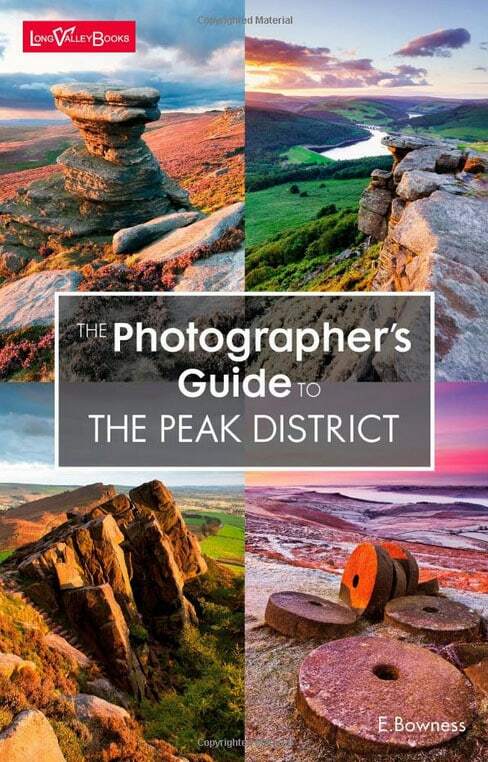 The Photographers Guide to The Peak District is another of the books in the excellent “Photographers Guide” series. It’s the perfect size and weight to take out into the field and keep to hand in a pocket. The information is well edited and presented following the proven format of other books in the series. For a comprehensive review of the features (so that I don’t repeat myself) take a look at my review of the Lake District guide. This one is just as good. This guide is a recent purchase for me, but it stands out for a couple of reasons. Firstly, I have always struggled to shoot what I consider to be successful images in the Peak District. For some unknown reason, I struggle to find locations I can connect with. Fortunately, this guide has introduced me to some new locations that I really like. Secondly, and perhaps surprisingly given the previous comment, I live on the edge of the Peak District. In fact, locations 1 and 2 in the book are within walking distance of my house. It was something of an unexpected bonus that I wasn’t aware of location 2, even though I walk in the area. Since purchasing “The Photographers Guide to the Peak District”, I’ve been venturing into the area more frequently. I’m enjoying more success, in fact much more success when shooting there; even when the conditions are challenging. I’m also enjoying the locations much more and appreciating the beauty of the area. This guide has really opened my eyes to what’s around me and to the beauty of the Peaks. The guide contains a total of 53 excellent locations. Even just browsing these whilst writing this review, I can feel a sense of anticipation for my next shoot. This is an excellent, well written and highly recommended guide as are the others in the series.